Research shows that people who are food insecure have, in addition to poorer physical health, higher levels of anxiety, are significantly more likely to be depressed, and are more likely to exhibit psychosocial dysfunction. Hunger stigmatizes. Hunger makes it harder for a person to pull him or herself out of poverty. Hunger begets hunger and people get trapped—unless the cycle is interrupted. Children who are hungry struggle to concentrate and learn. They get sick more often, perform poorly on standardized tests, miss classes and drop out of school more often, and are at a disadvantage relative to their peers. They, too, are caught in a cycle. And what these children miss out on in their early years will be hard to make up. Hungry children are more likely to be sick, are less likely to develop to their full potential, and are—as families in need try and stretch resources by buying cheap, highly processed food—more likely to become obese, develop type II diabetes, and suffer from other diet-related diseases. 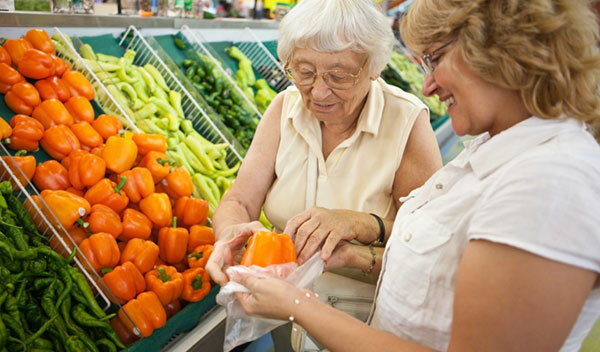 For older people, healthy food provides a shield: without proper nutrition they are vulnerable to a wide range of debilitating ailments. For all, the medical costs that food insecure families incur cut immediately into grocery budgets—forcing choices for which there are no good options. All of these factors make it harder for food insecure people to compete and to break the cycle of poverty and hunger. Our state’s substantial investments in public education return less than they should; healthcare costs increase; and our shared costs to combat the effects of hunger increase. Classroom challenges translate to decreased employment opportunities, lower productivity, reduced lifetime income, and less vibrant communities. Our economy is less robust because of hunger within our borders. Twenty or twenty-five years ago, only people at the margins lived with the fear that economic change could throw their lives into crisis—but the Great Recession changed that: the middle is now smaller and the margins wider. Even though unemployment has declined in some areas, many people still cannot earn enough money to make ends meet: almost 40% more people live with food insecurity today than did before the recession—and that increase is almost 80% if we compare today to the beginning of the previous decade. Hunger is a very real, chronic condition in our state. But because of increasing income inequality, it is not at all evenly distributed—and not always apparent. In communities where it is a concern, it is a significant, grinding burden. When we take thoughtful action to interrupt the cycle of hunger among vulnerable adults and children in our state, we empower them to change their futures—and we set the course for a healthier and more prosperous Commonwealth for all of us. Learn more about Project Bread's fresh approach to ending hunger.